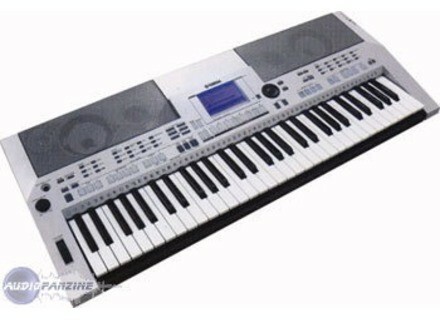 PSR-510, Keyboard Arranger from Yamaha in the PSR series. 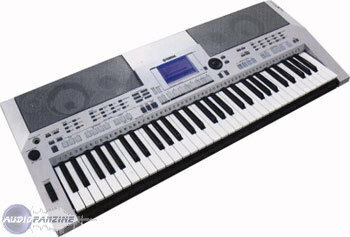 The PSR-510 is a keyboard that I got in mid-90's, I think as a birthday gift. There were LOTS of buttons on its panel (!!!) but although it looked difficult for me (I was a preteen at the time), I could learn how to use it real fast. The user manual helped me a lot. I quickly learned how to combine sounds, make music through the 5-track recorder, and even create my very own styles. About the sounds: there were 128 of them. Yep, it was one of the first GM Level-1 fully-compatible arranger keyboards. Most sounds were pretty decent for a 1993 mid-level instrument. If I could find a "new" (because it's not new anymore, of course), well-mantained and fully functional PSR-510 today, I'd get it without thinking too much, although I own a much more complex keyboard set today, but it doesn't matter. The PSR-510 is a synonim of nostalgy to me.